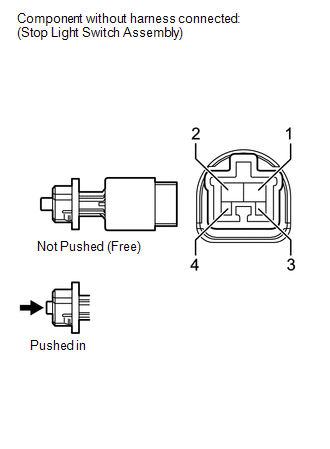 When the brake pedal is depressed, the stop light switch assembly sends a signal to the ECM. When the ECM receives this signal, it cancels the cruise control. 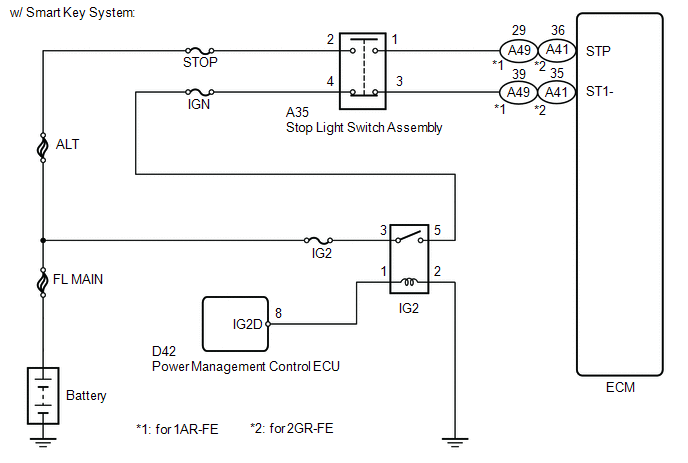 The fail-safe function operates to enable normal driving even if there is a malfunction in the stop light signal circuit. Cruise control cancellation occurs when voltage is applied to terminal STP. When the brake is applied, voltage is normally applied to terminal STP of the ECM through the STOP fuse and the stop light switch assembly, and the ECM turns the cruise control off. 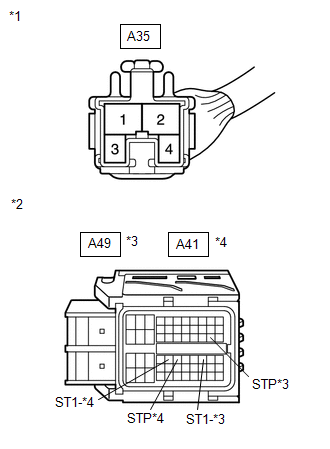 (c) Reconnect the stop light switch assembly connector. (d) Reconnect the stop light switch assembly connector. (a) Remove the stop light switch assembly (See page ). 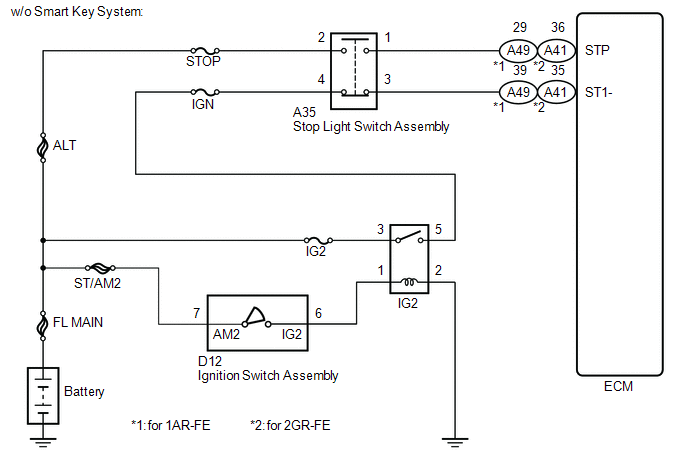 (c) Reinstall the stop light switch assembly (See page ). 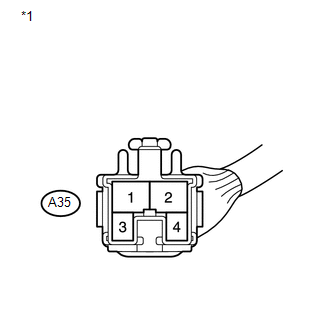 (b) Disconnect the stop light switch assembly connector. (e) Reconnect the ECM connector.